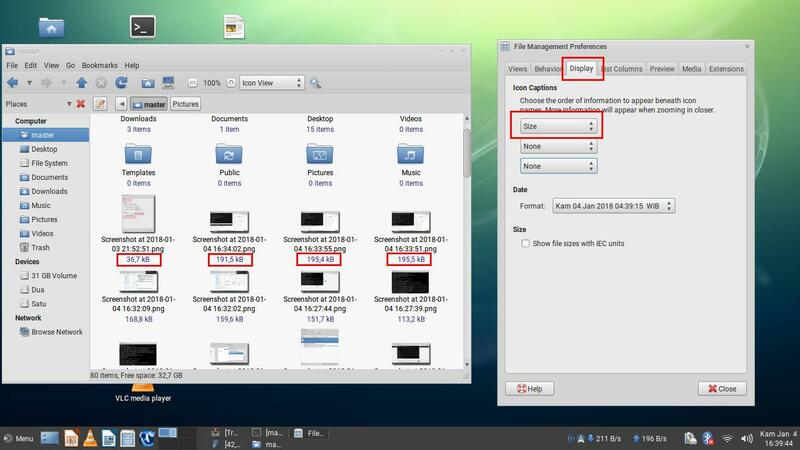 What To Do After Installing Trisquel 8 "Flidas"
This recommendation article is for you first-timers & beginners who use Trisquel 8 "Flidas" GNU/Linux. If you just switched from MS Windows to Trisquel, then this is for you. 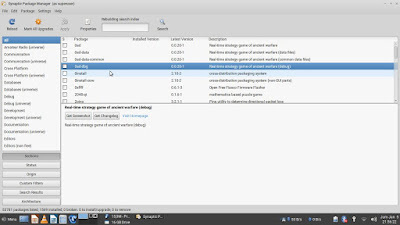 Here you'll find suggestions in setting the desktop, changing the theme, adding applications, knowing useful browser addons, and seeing a short list of good applications you can install on Trisquel. In case this maybe interesting, you also can customize the Terminal appearance so it looks more cool that way. Finally, this article wished to make your first days with Trisquel easy and happy. So enjoy Trisquel! This article continuing the Trisquel 8 Installation Guide. Make it opens with Super key and have a search bar. This way it will be more familiar for majority of users coming from MS Windows. To do so, install the program & setup the MATE Tweak. 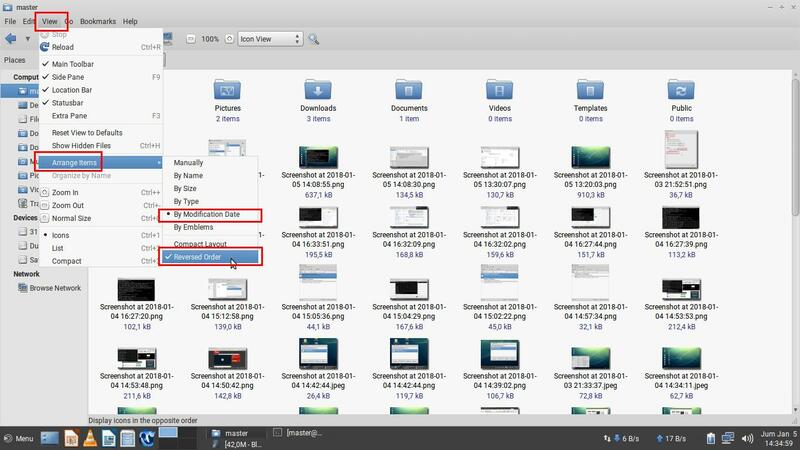 Put your frequently used programs at desktop. For example, LibreOffice, Rhythmbox, and VLC. 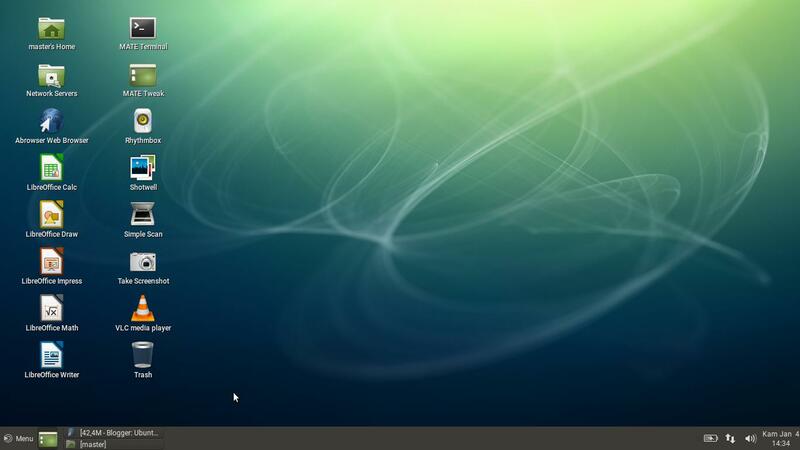 To do so, open the menu > find a program > drag and drop the program to desktop area > done. You can also put PDF or ODT files at desktop just by the same way but from the file manager. 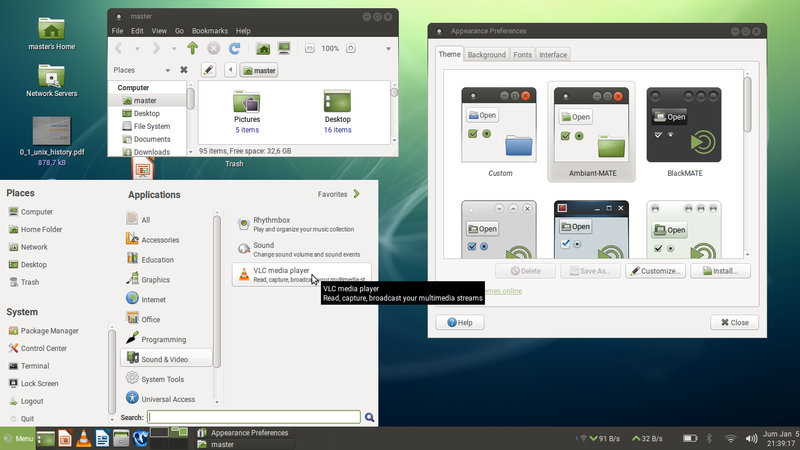 Just like icons at desktop area, you can also put them at panel. To do so, open the menu > find a program > right-click > Add to Panel > done. 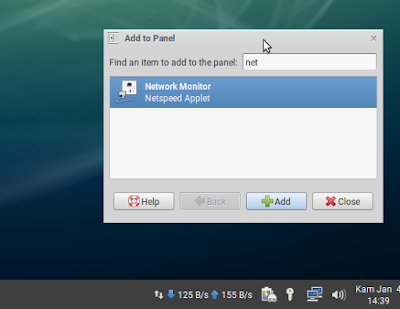 Put a download/upload speed indicator at panel (so you can examine bandwidth usage everytime). 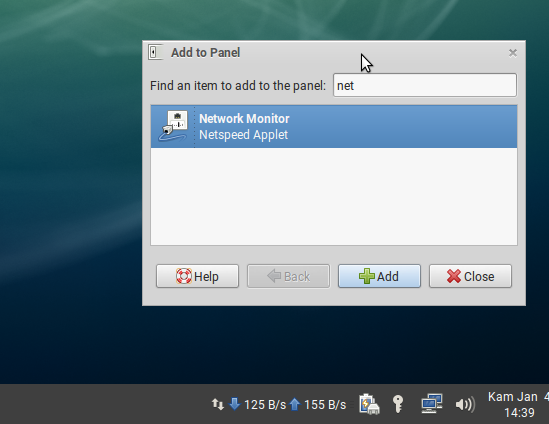 To do so, right-click at blank area on panel > Add to Panel > find "Network Monitor" > drag and drop it onto panel > done. 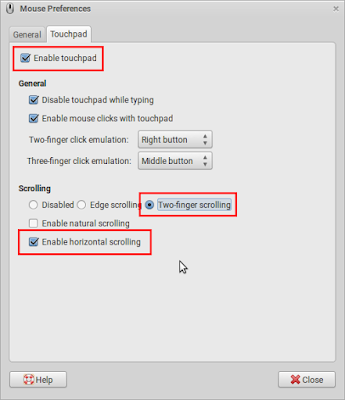 Open the desktop menu > find "Mouse Preferences" > go to 'Touchpad' tab > check the Enable Touchpad option on > select "Two-finger scrolling" > empty "Enable natural scrolling" > select "Enable horizontal scrolling" > close > done. It's for our health, particularly eyes health, to reduce eyestrain and sleeplessness (it really helped myself), so it's important to install Redshift if you're a durable desktop user (e.g. 10+ hours per day). Workspace is a multiple desktop feature so you can work in many monitors but with only one monitor. Different workspace is like different monitor, changing workspace is like changing between monitors. 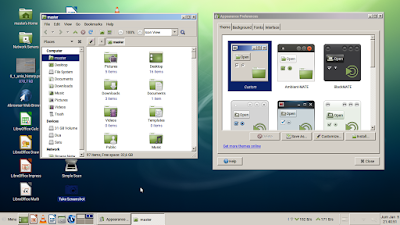 You can change the theme into "Windows 98" or "Ubuntu". 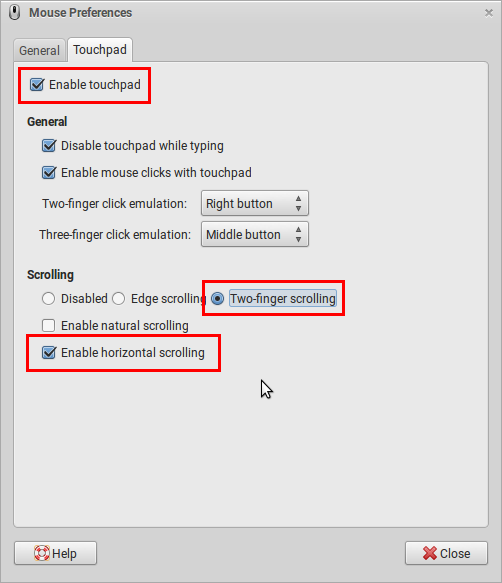 Basically, to change theme, right-click at desktop area > Change Desktop Background > a dialog showing > go to 'Theme' tab > choose a theme > OK > done. 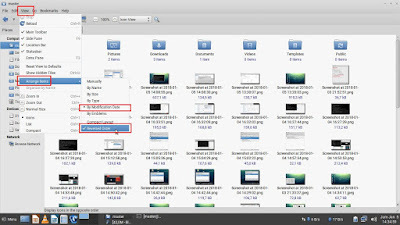 To make it looks like Windows, still at 'Theme' tab, click Customize > go to 'Controls' tab & choose "Redmond" > go to 'Window Border' tab & choose "WinME" > done. Personally, I feel StartPage is better than DuckDuckGo, because it's the same privacy-respecting search engines, but StartPage gives Google results + web proxy. 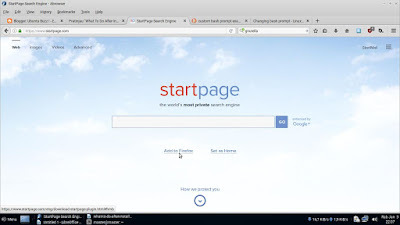 So, for maximum convenience, I recommend you to use StartPage.com instead of Google.com and DuckDuckGo.com. I recommend you to read more at PRISM Break. 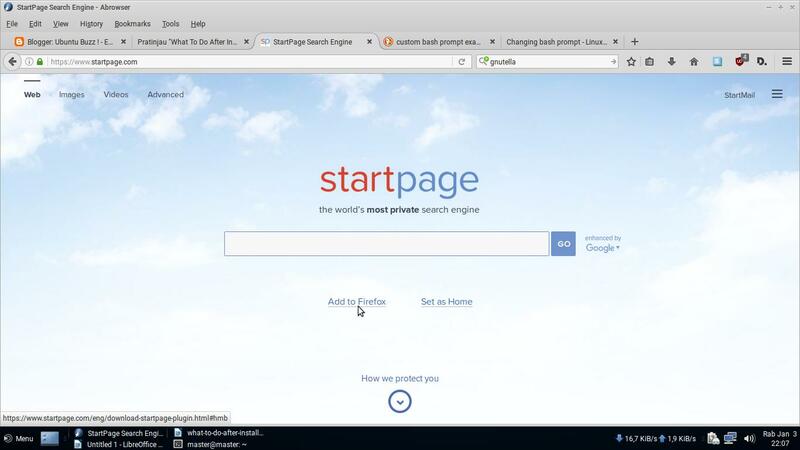 To make StartPage your default search, go to https://startpage.com > press 'Add to Firefox' link > press 'HERE' > check "Make default search engine" > press OK > done. Alternatives: beyond StartPage.com (and DuckDuckGo.com, of course), there are MetaGer.de and also Searx.me privacy-respecting search engines. 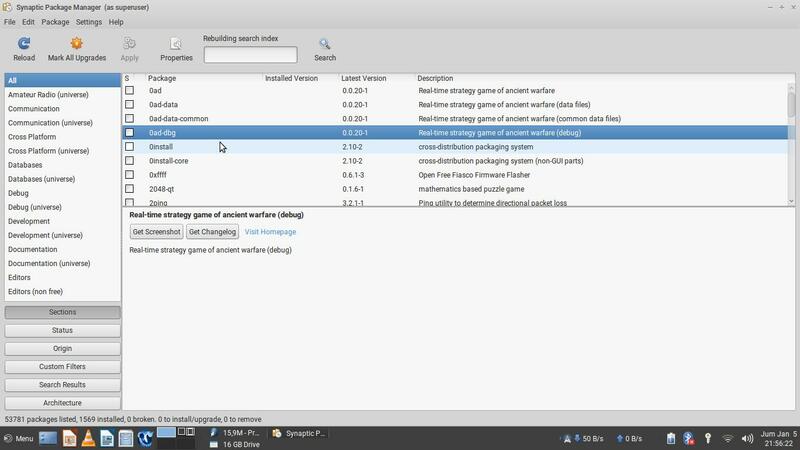 By default, Firefox and Abrowser and IceCat don't show menu bar. To show it permanently, right-click empty area at tab bar > select "Menu Bar" > done. You will be happy if you always see newest folders/files on top at your file manager. To set it up, go to View > Arrange Items > select "By Modification Date" > repeat it > select "Reversed Order". By default, Caja doesn't show each file's size. To show it, go to Edit > Preferences > go to 'Display' tab > you see 3 selections on "Icon Captions" section > select "Size" for first selection > see the changes at Caja > done. Some users can find the text at Terminal is too small. If this affects you, you can enlarge the text size to 12 or 14 or 18 or any number you feel comfortable for your eyes. Go to Edit > Profile Preferences > uncheck the "Use the system fixed width" > click the "Monospace | 12" button below it > choose the size from the most-right column (12, 14, or 18, or even bigger) > press OK. The default Trisquel bash prompt is not appealing. You can create custom bash prompt as you wish (add time, color, bold, etc.) at http://bashrcgenerator.com in very easy way! You will get the command line to run on your Terminal and it goes. export PS1="\[$(tput bold)\]\[\033[38;5;2m\][\u@\h\[$(tput sgr0)\]\[$(tput sgr0)\]\[\033[38;5;15m\] \d \[$(tput bold)\]\t\[$(tput sgr0)\] \[$(tput bold)\]\w\[$(tput sgr0)\] \[$(tput bold)\]\[$(tput sgr0)\]\[\033[38;5;1m\]\\$\[$(tput sgr0)\]\[\033[38;5;2m\]]\[$(tput sgr0)\]\[$(tput sgr0)\]\[\033[38;5;15m\]\n\[$(tput sgr0)\]"
Your prompt will change like picture below. Command line above is not permanent. 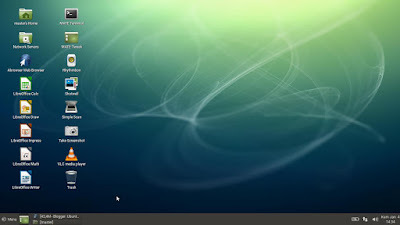 If you restart the Terminal, the prompt goes back to its default. To make it permanent, add that long command line into a last line at ~/.bashrc file. 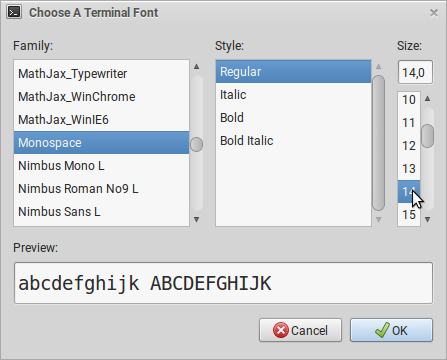 Default Trisquel Terminal color is white and that's not good for many users. You can turn it black by going to Edit > Profile Preferences > go to 'Color' tab > uncheck the "Use colors from..." selection > choose built-in schemes: "White on Black" > close. 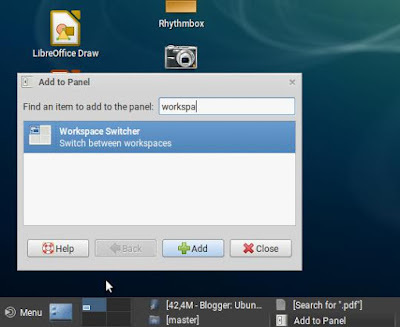 Here are a few home user’s applications for daily needs such as image editor and download manager. If you want more complete list, we have Privacy Apps List , Image Editors List, and Recommended Apps Long List. To install any of them below, just add each 'package name' mentioned after 'sudo apt-get install' command. 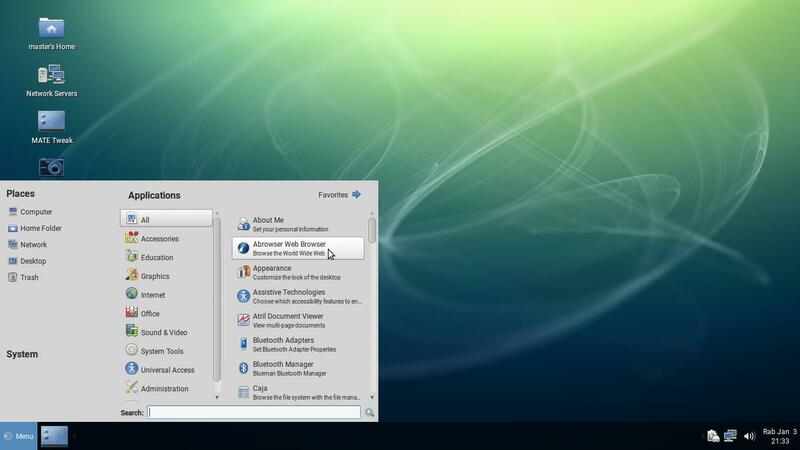 Trisquel is a user-friendly and easy to use, 100% free GNU/Linux operating system certified by the FSF. Trisquel is based on Ubuntu and the version 8 is based on Ubuntu 16.04 LTS. 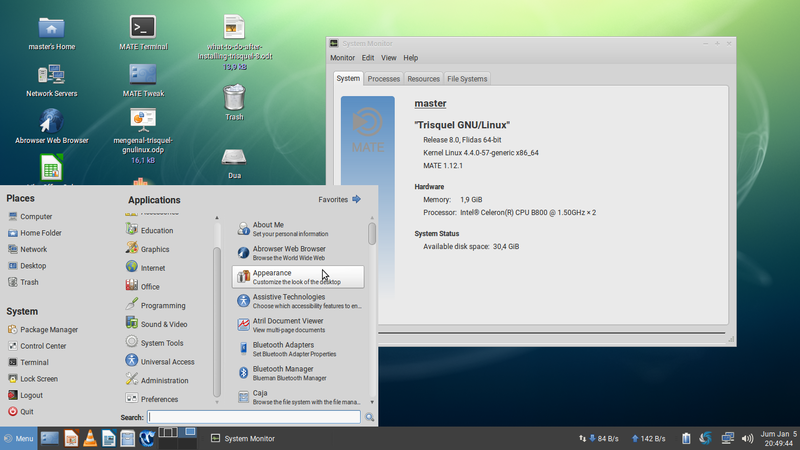 Trisquel uses Linux-libre kernel, which is the original Linux kernel with all proprietary software removed. Being 100% free means Trisquel includes only free software both in its system and its repository and it will never include any nonfree software. Trisquel can be downloaded gratis from the official website https://trisquel.info/en/.